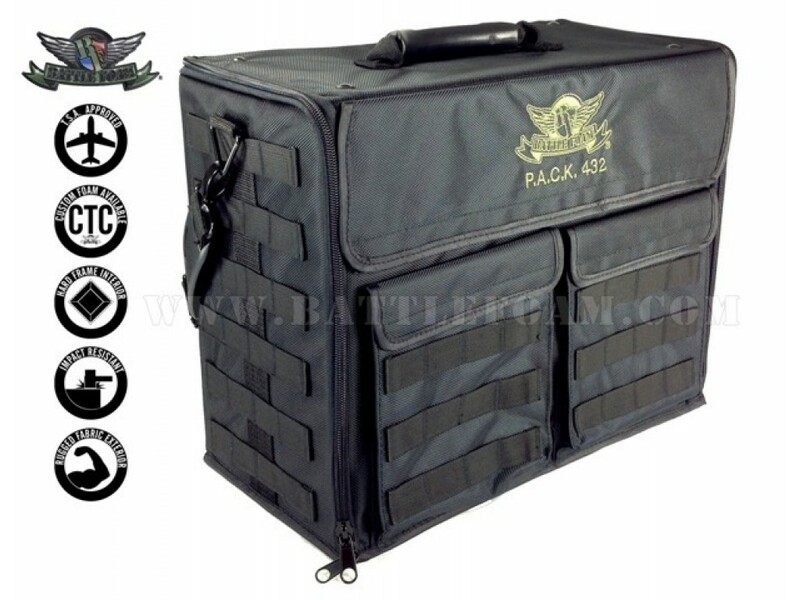 The P.A.C.K. 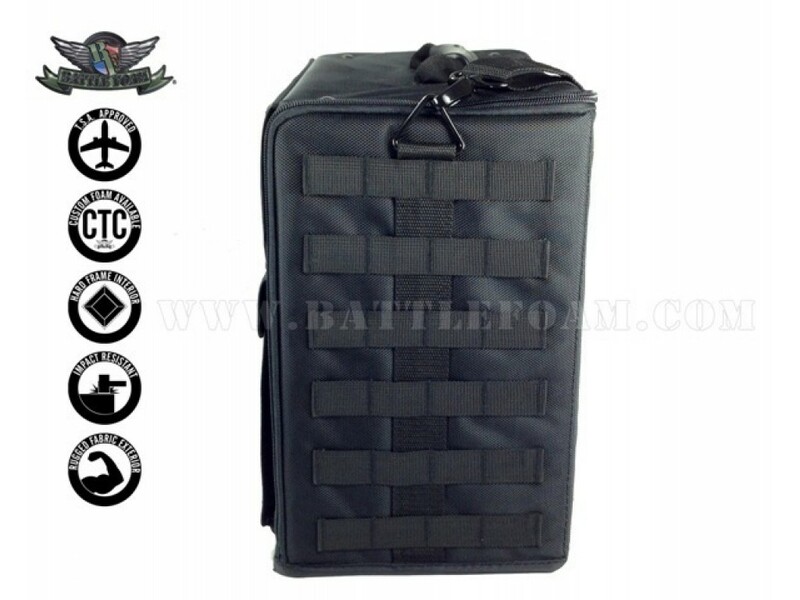 (Personal Army Combat Kit) 432 can fit 8 inches (203 mm) of Battle Foam Large (BFL) size foam trays (15.5W x 12L") or 12.5 inches (318 mm) of Battle Foam Medium (BFM) size foam trays (15.5W x 8L"). 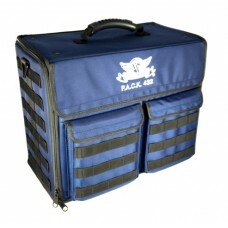 Its rugged Ballistic Nylon exterior protects a hard plastic interior built for strength and durability. 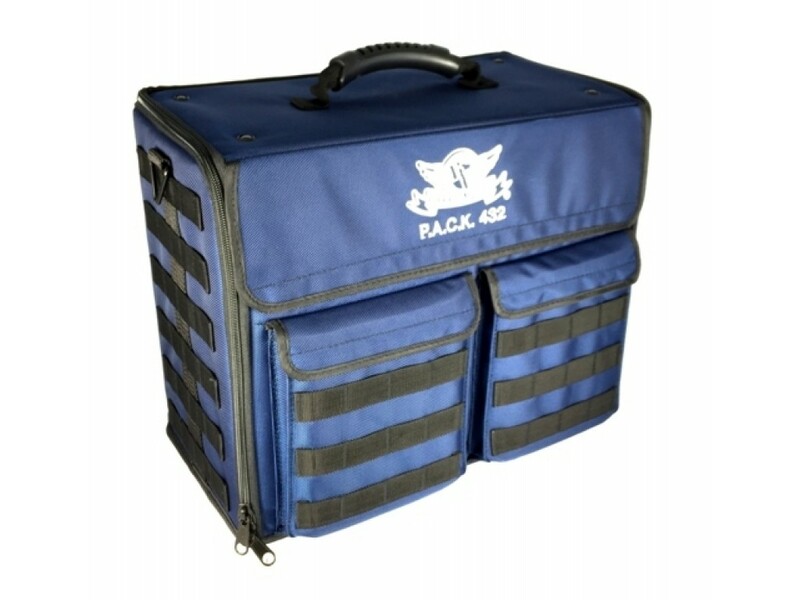 This bag was designed for airport travel and meets all FAA regulations for carryon luggage. 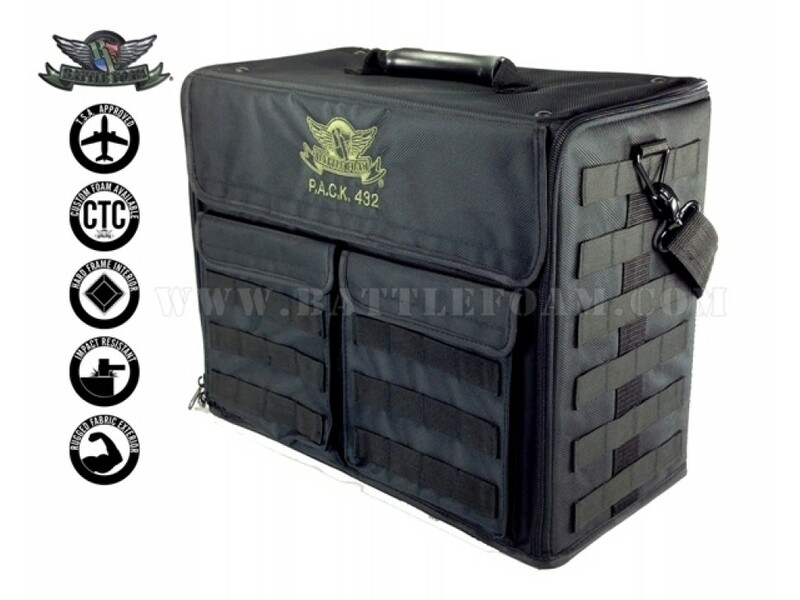 The P.A.C.K. 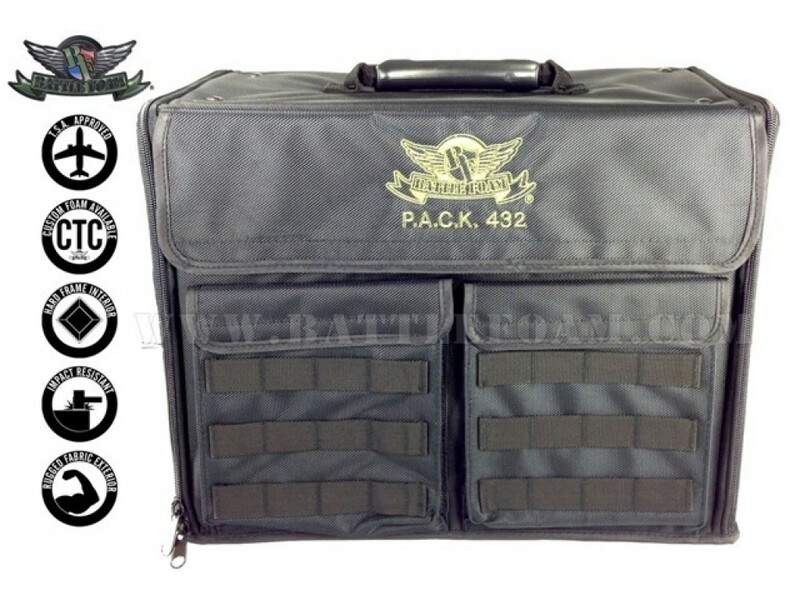 432 now offers a molle system, which allows you to further customize this bag to fit your specific storage and transportation needs. 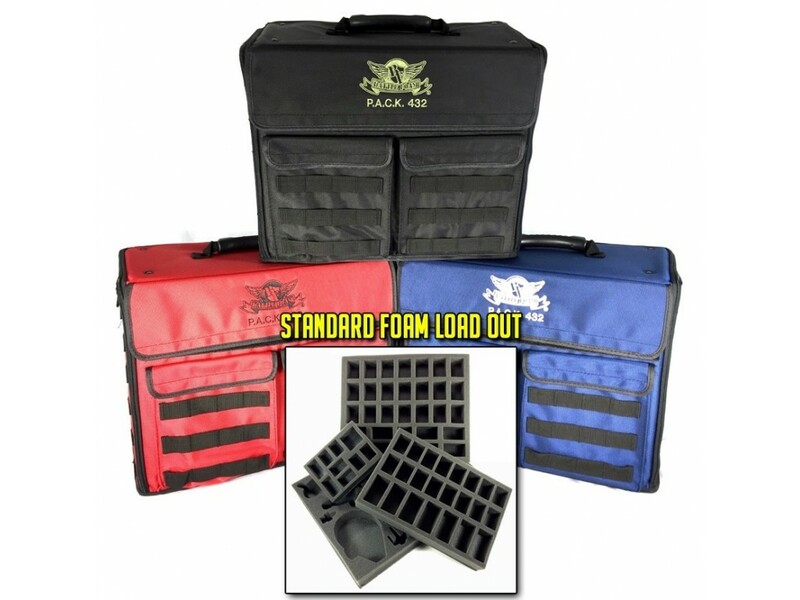 Molle accessories offer storage solutions for tablets and other small books, dice and other gaming accessories as well as cell phones and other personal items. 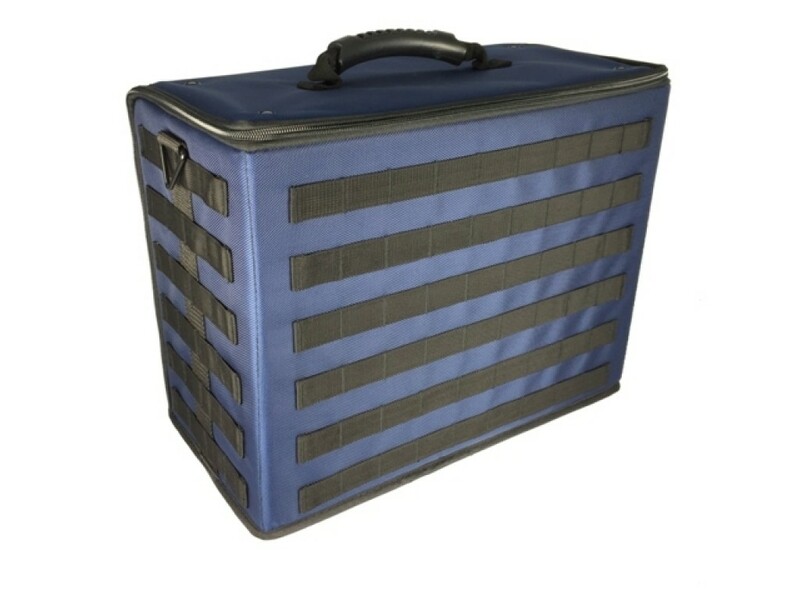 To view and/or purchase these accessories, click here. 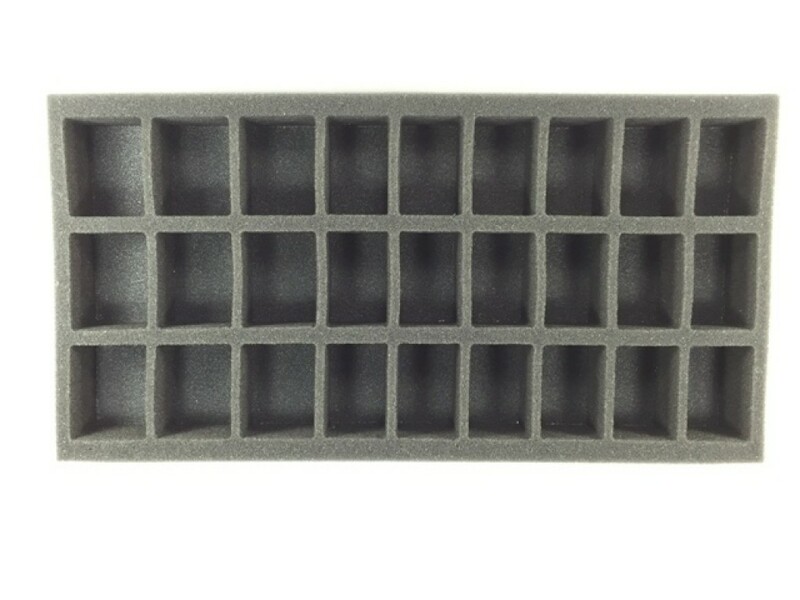 1x Battle Foam Medium 44 Troop Foam Tray - 1.5 inch (38 mm) thick tray with 44x 1 x 1 1/2 inch (25 x 38 mm) cut outs. 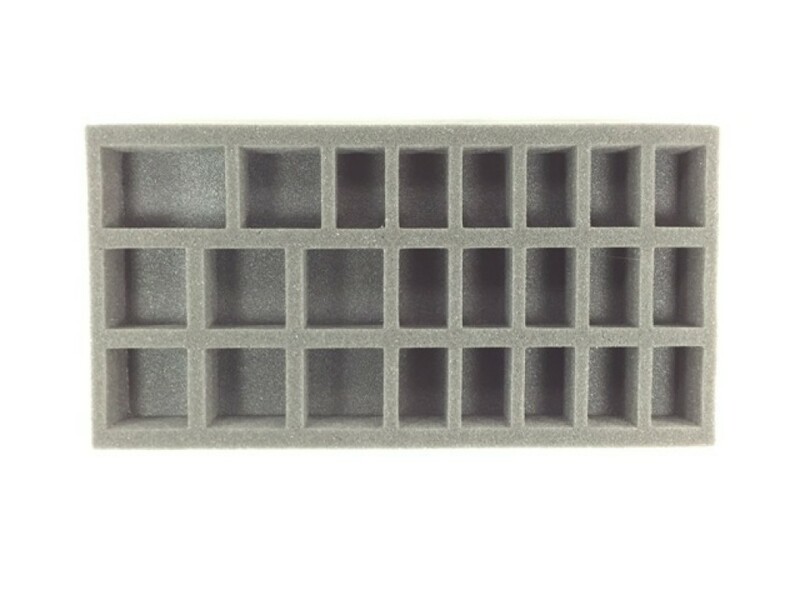 1x Battle Foam Medium 32mm Space Marine Troop Foam Tray - 1.5 inch (38 mm) thick tray with 16x 2 x 1 1/4 inch (50 x 32 mm) cut outs, 7x 2 x 2 inch (50 x 50 mm) cut outs and 1x 3 x 2 inch (76 x 50 mm) cut outs. 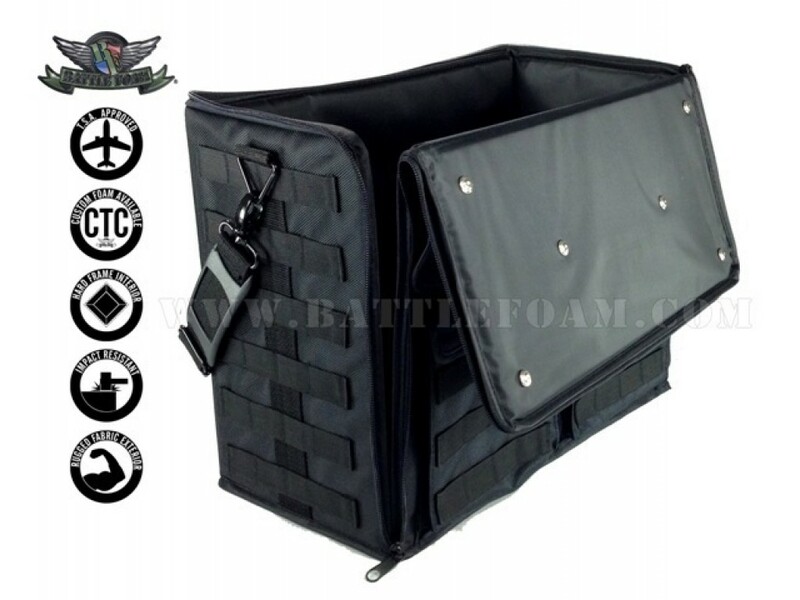 1x Battle Foam Medium 27 Assault Marine Foam Tray - 2 inch (50 mm) thick tray with 18x 2 x 1 1/4 inch (50 x 32 mm) cut outs and 9x 2 x 1 1/2 inch (50 x 38 mm) cut outs. 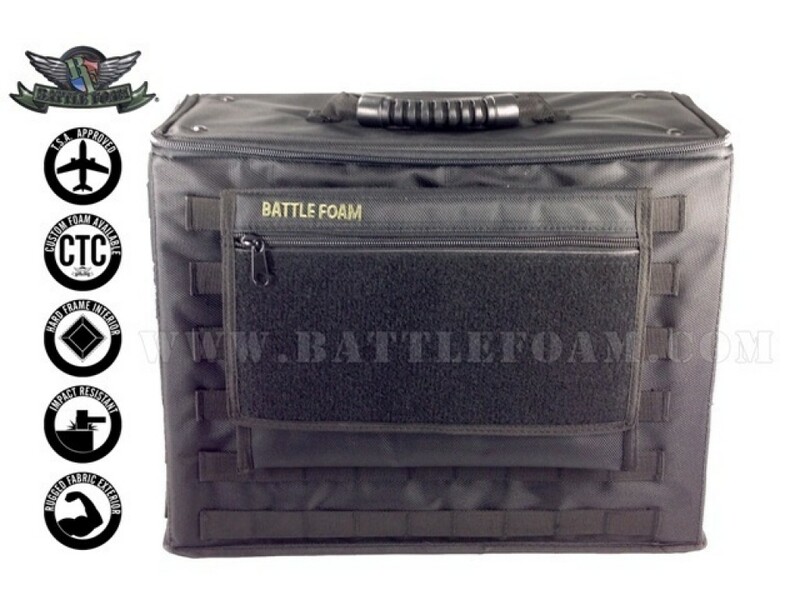 2x Battle Foam Medium 3 inch (76 mm) thick Pluck Foam Tray. 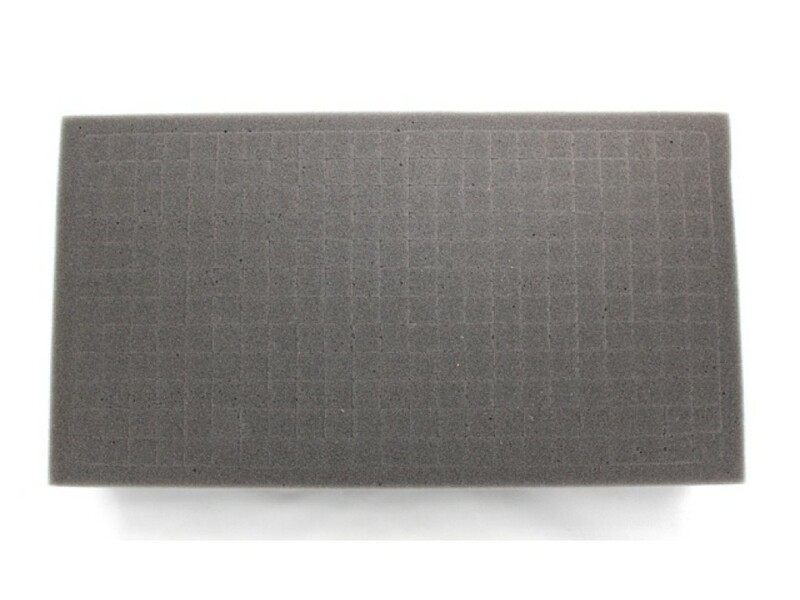 The pluck foam pieces are 1/2 inch (13 mm) squares. 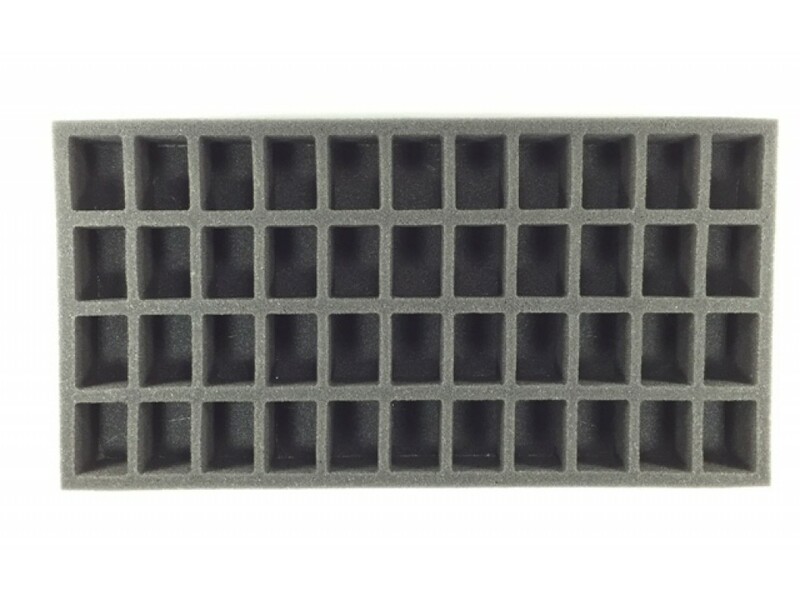 At times, pluck foam trays may require an exacto blade to cut through portions of the foam.